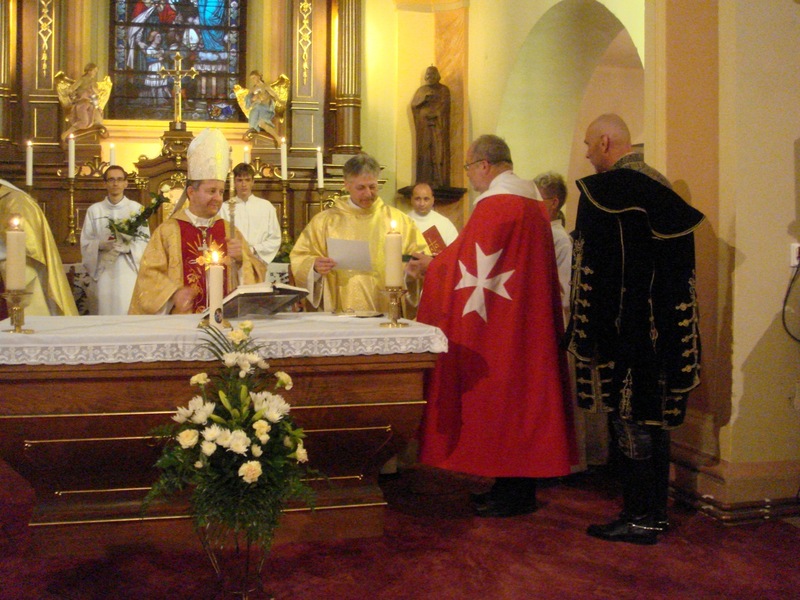 The Magisterial House of the Federation of Autonomous Priories of the Sovereign Order of St. John of Jerusalem - Knights of Malta FAP has the pleasure of informing that Rev. Monsignore László Szakál ( in Religion he adopted the name of Monsignore Ladislaus Joannes ), of the Roman Catholic Parish of Velky Meder, in Slovakia, has given us the honour of accepting to become the Spiritual Guide for the roman catholic knights in our Order. Monsignore Ladislaus Joannes ( László Szakál ), is Honorary Chaplain of His Holiness The Pope, and on the day of the Ceremony of his inauguration as rector of his new Parish of Velky Meder, - Ceremony presided by His Most Reverend Excellency Dr. Balázs Bábel, Archbishop of Kalocsa-Kecskemét -, he was decorated by the Ordo Hungariae and accepted his appointment by the Order of Knights of Malta FAP. Our Sovereign Order and State, and the Magisterial House, rejoice in having Monsignore Ladislaus in our Order.